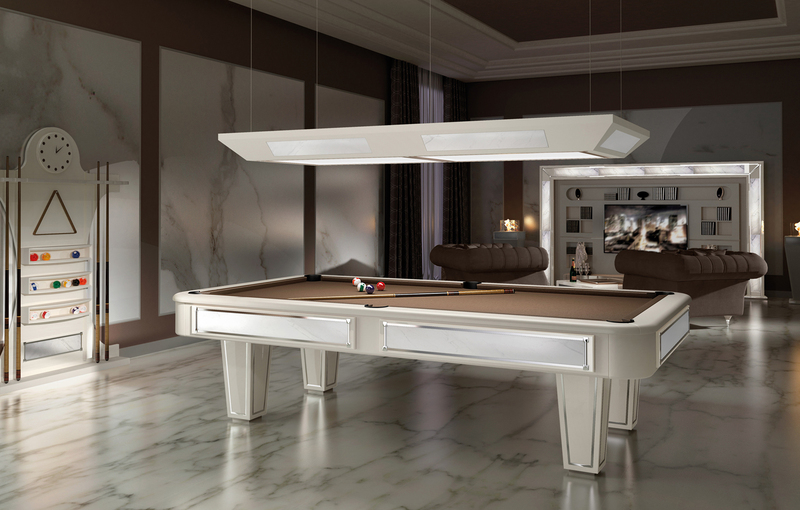 Vismara Design professional Pool Tables are realized following the Italian manufacturing tradition and using top quality materials. 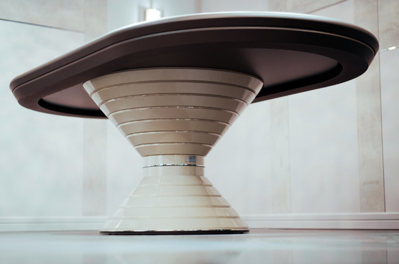 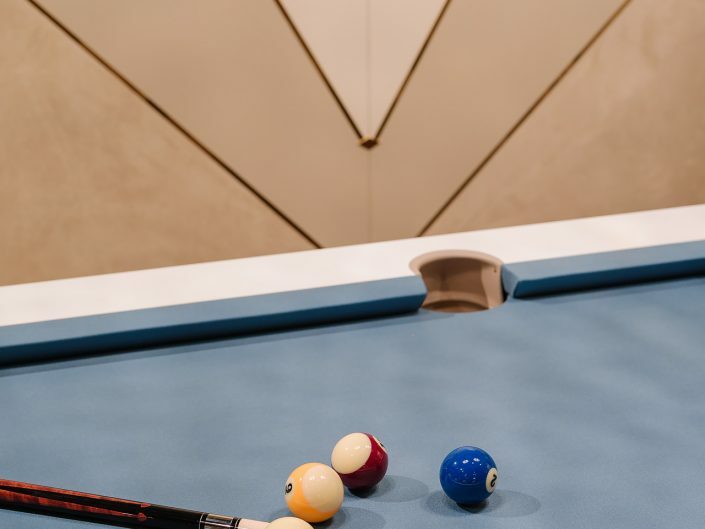 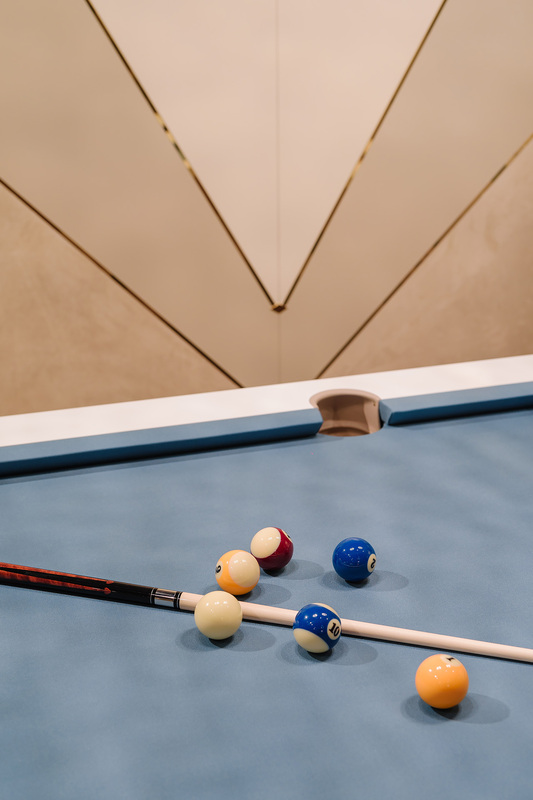 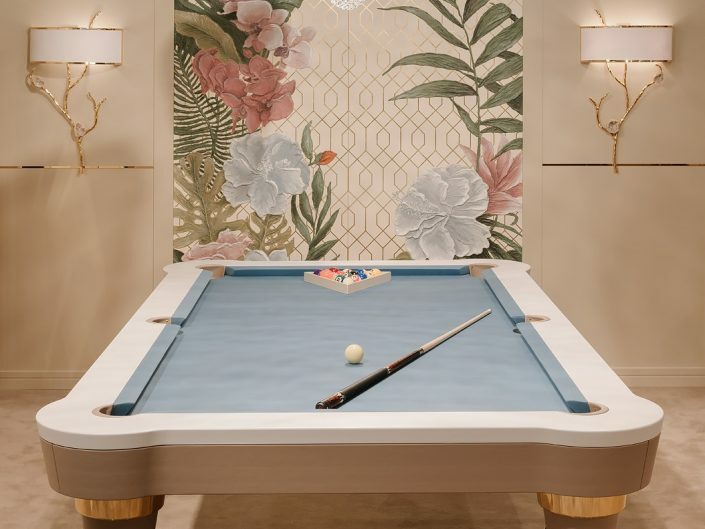 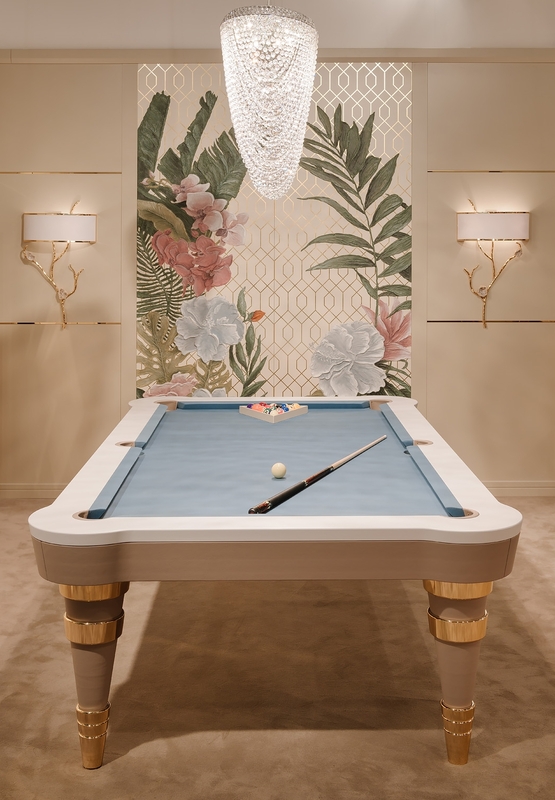 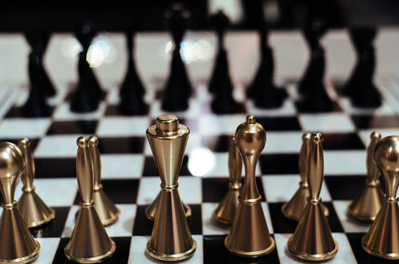 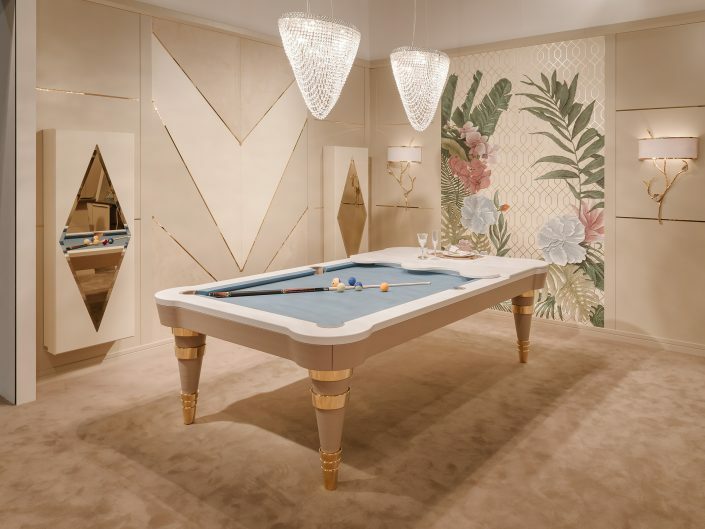 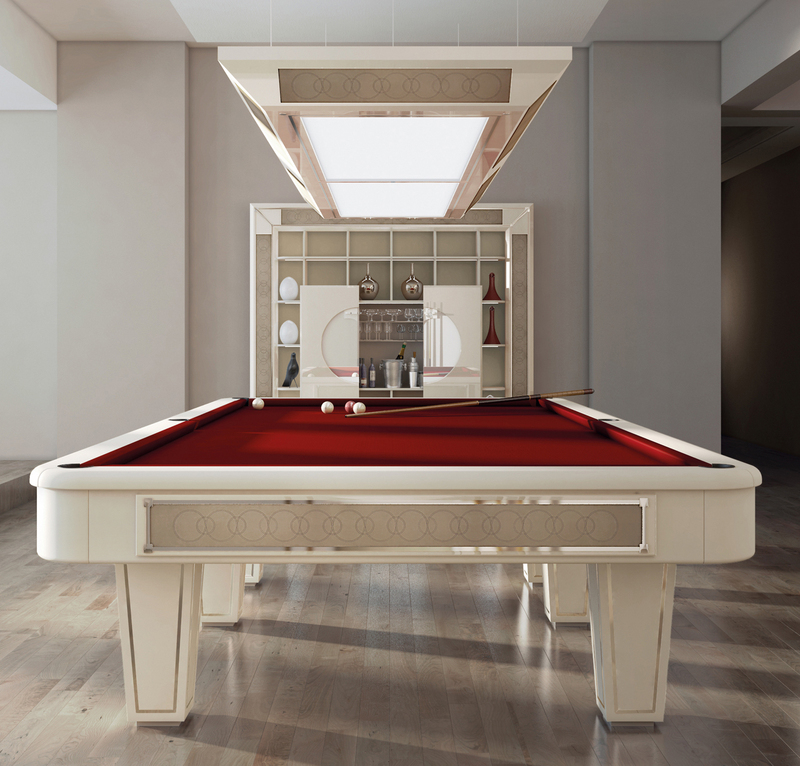 The structure is finely crafted from solid mahogany, the playing surface is made of slate plates and coated with a professional soft cloth, produced by the leading company Simonis. 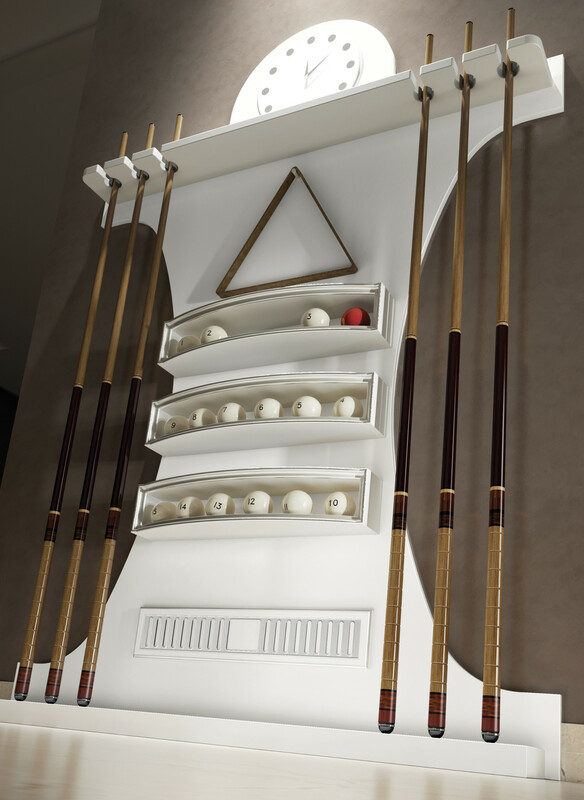 The attention to details is also reflected in the coverage of pockets, rigorously in leather or eco leather. Vismara Pool Tables are available in different kind of cue games, from Snooker to American Pool, from Russian Piramid to Italian Billiard. 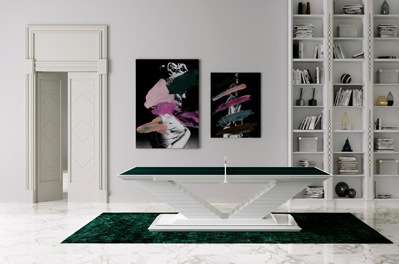 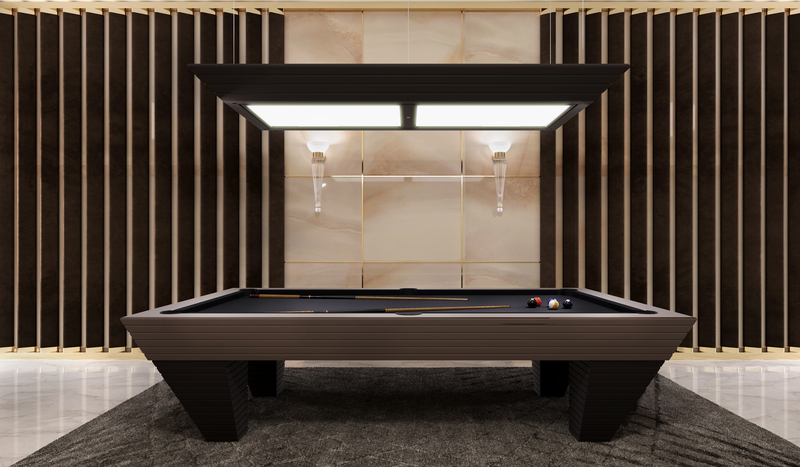 Vismara Pool Table is proposed in different styles, from classic pool table enriched with precious carvings, to contemporary models enhanced with valuable inserts made of marbles, mother-of-pearl, ebony and much more. 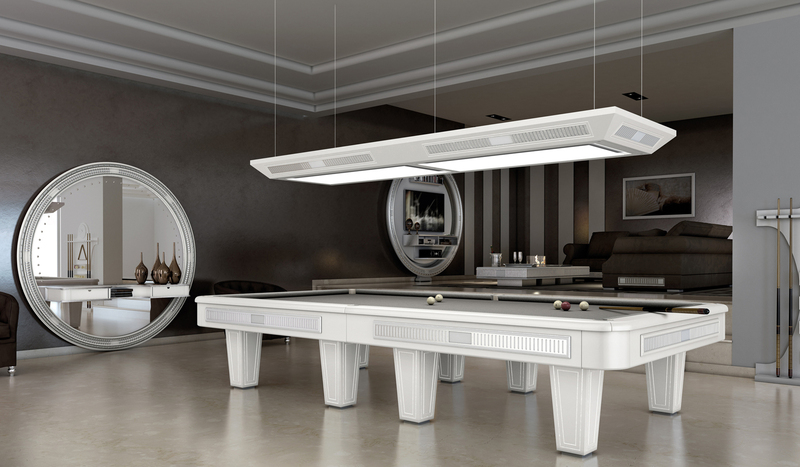 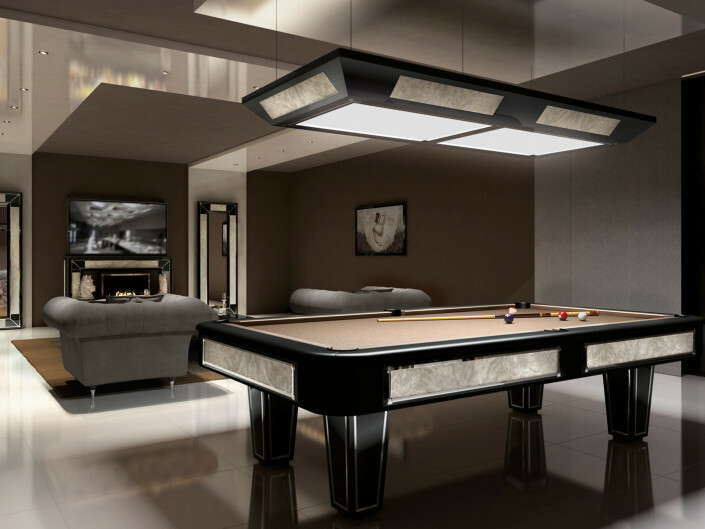 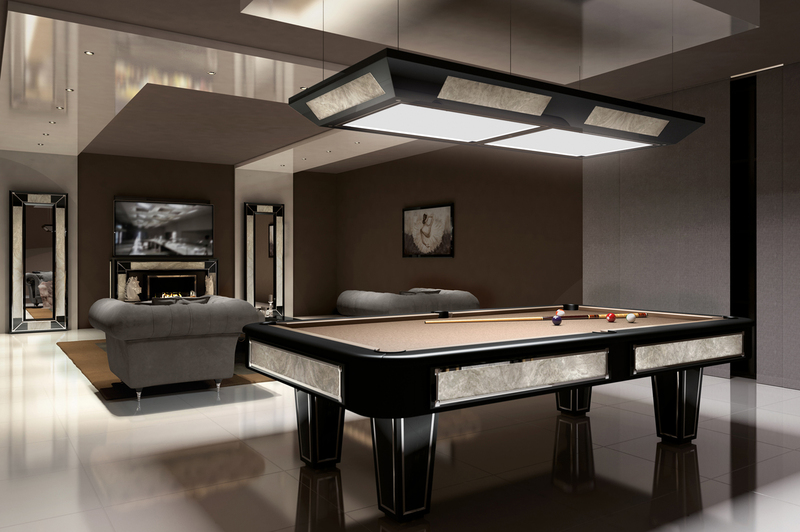 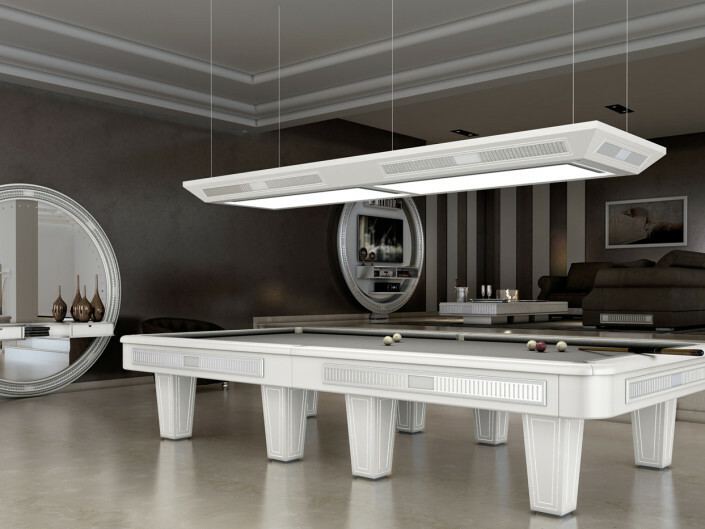 All Vismara Pool Tables can be accompanied by professional pool lamps which provide a diffused lighting perfect for playing. 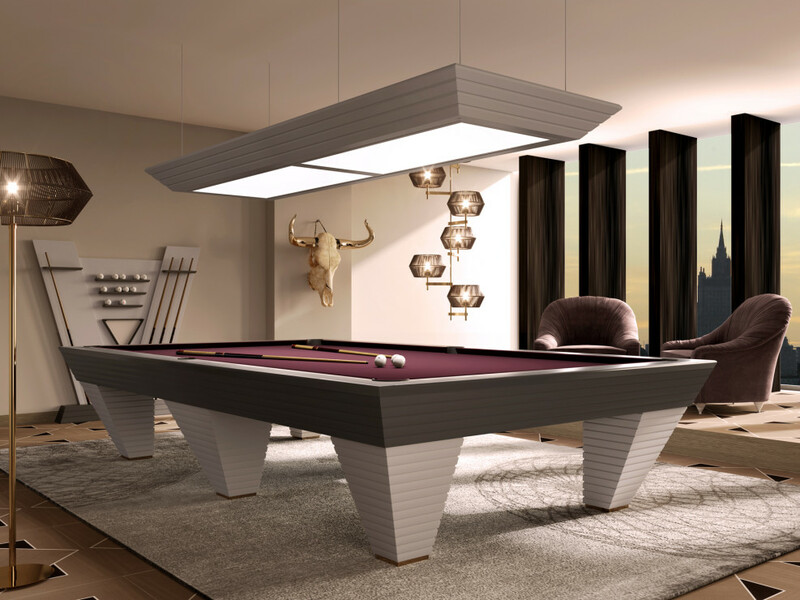 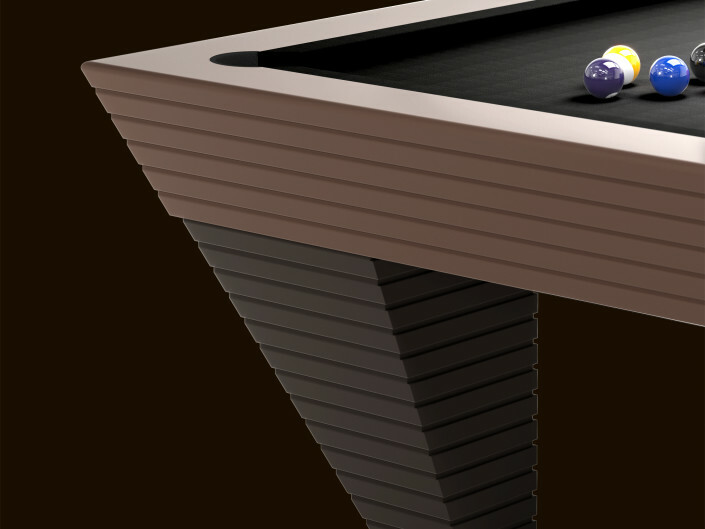 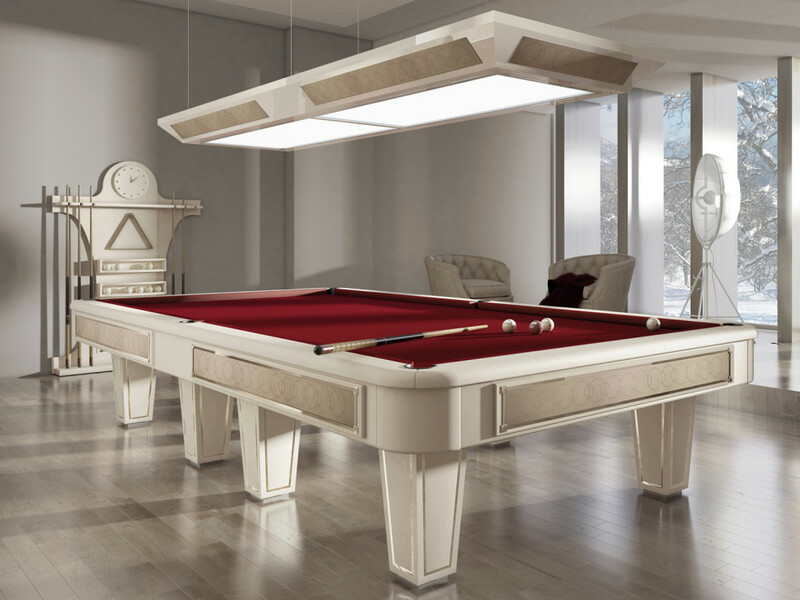 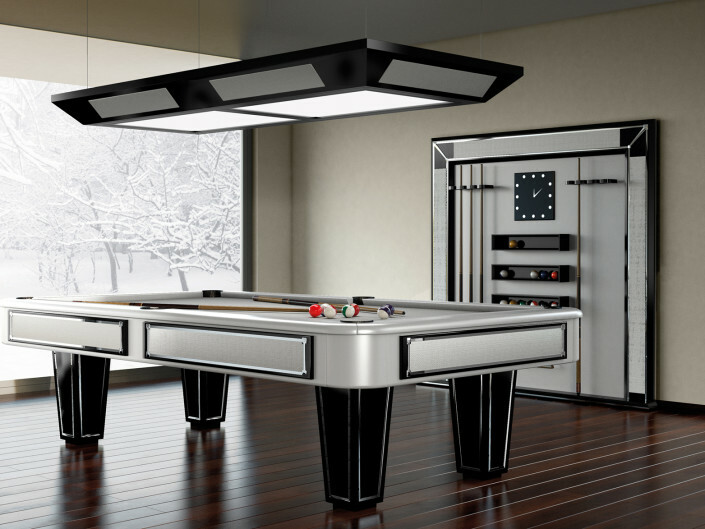 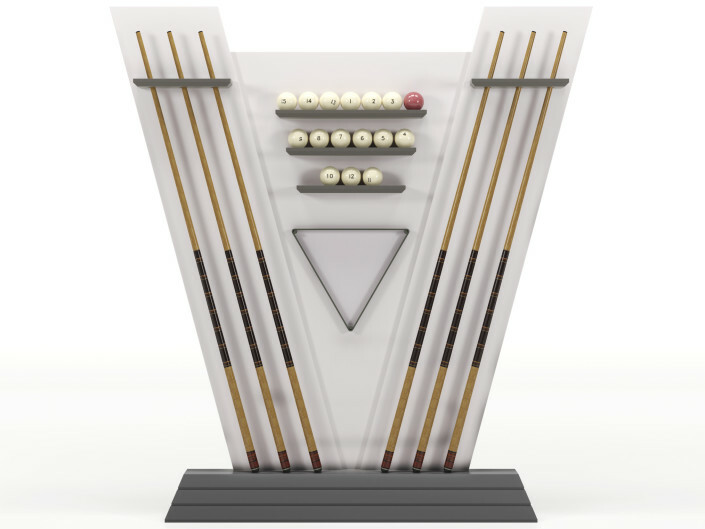 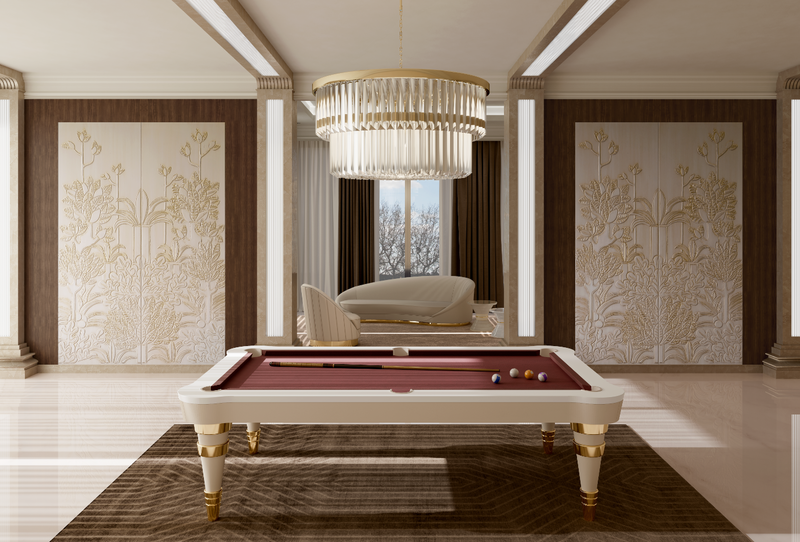 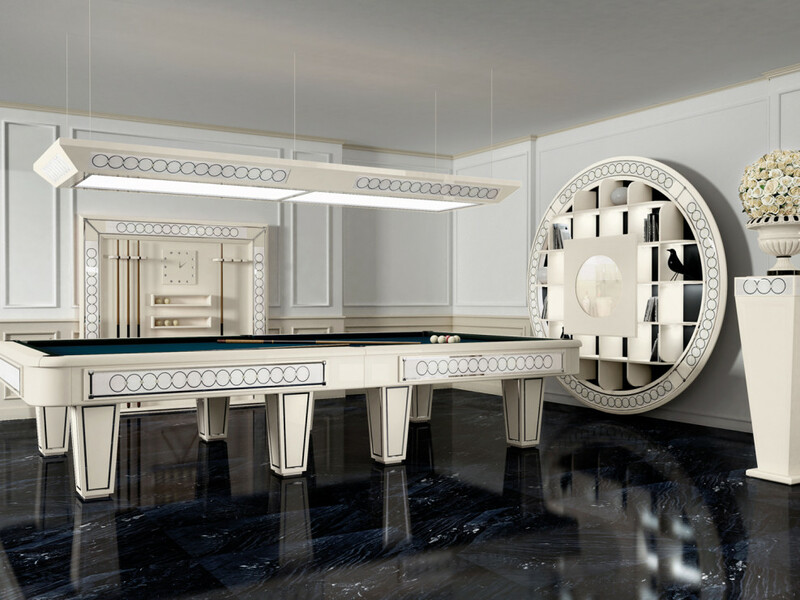 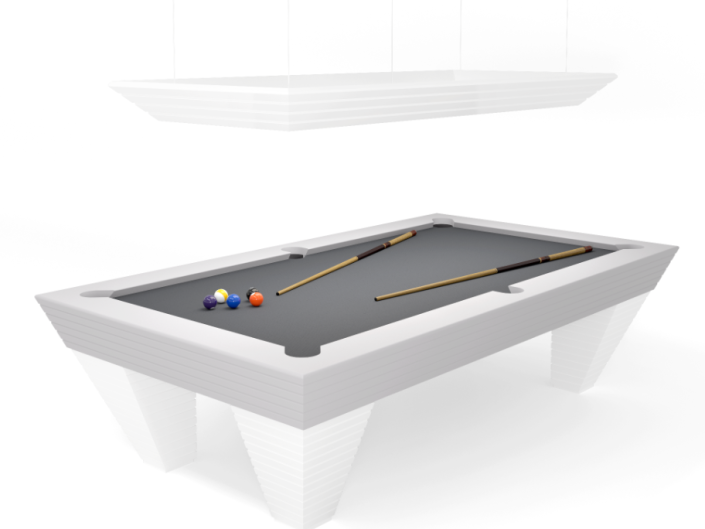 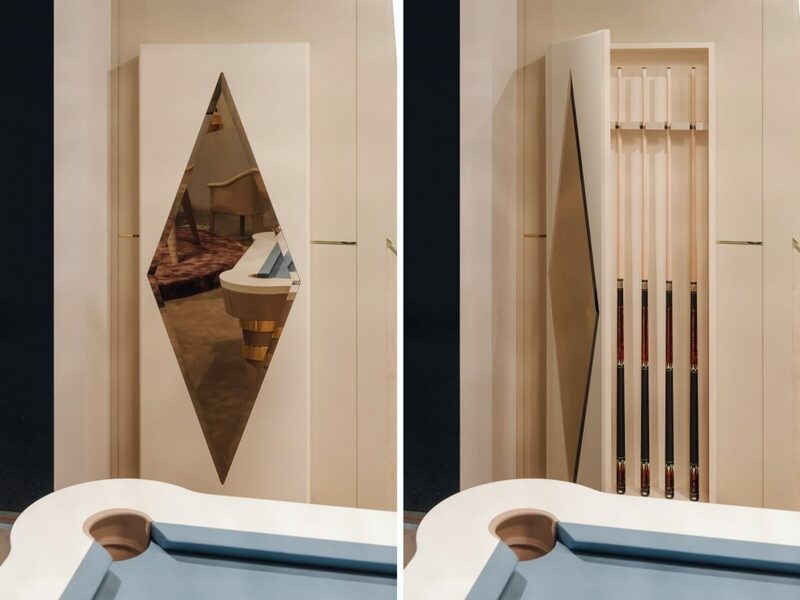 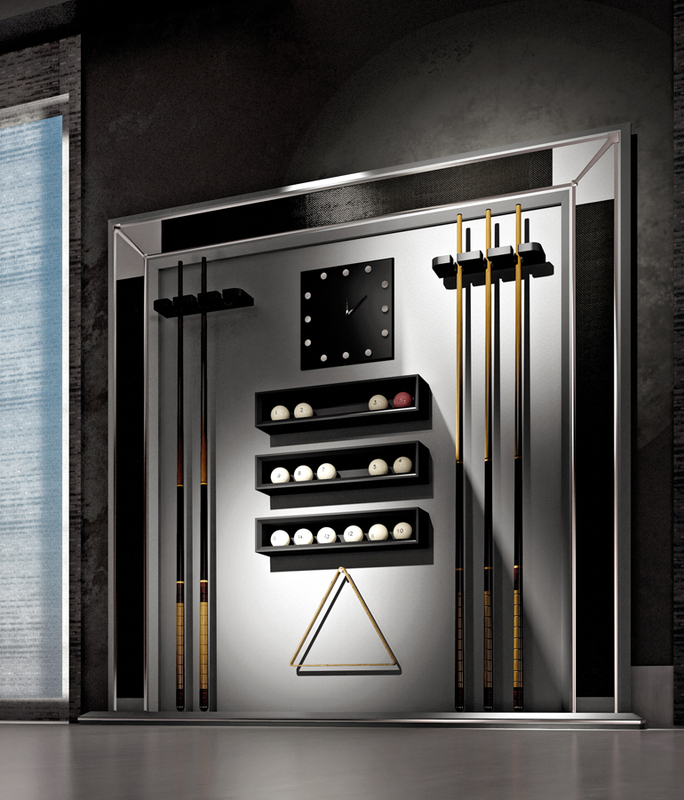 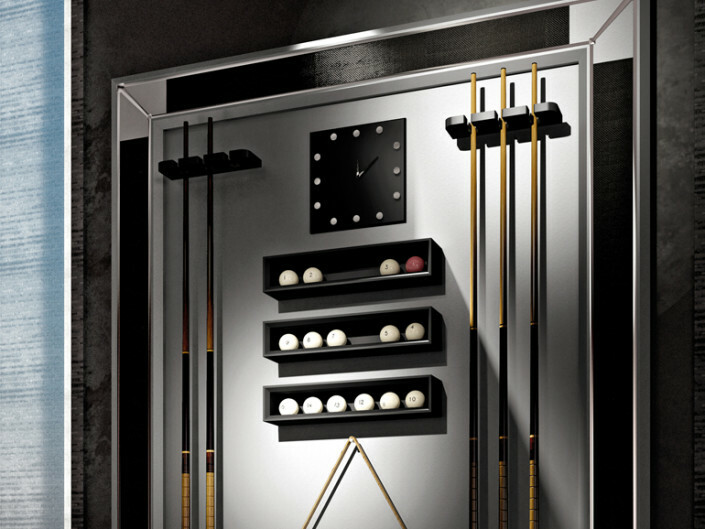 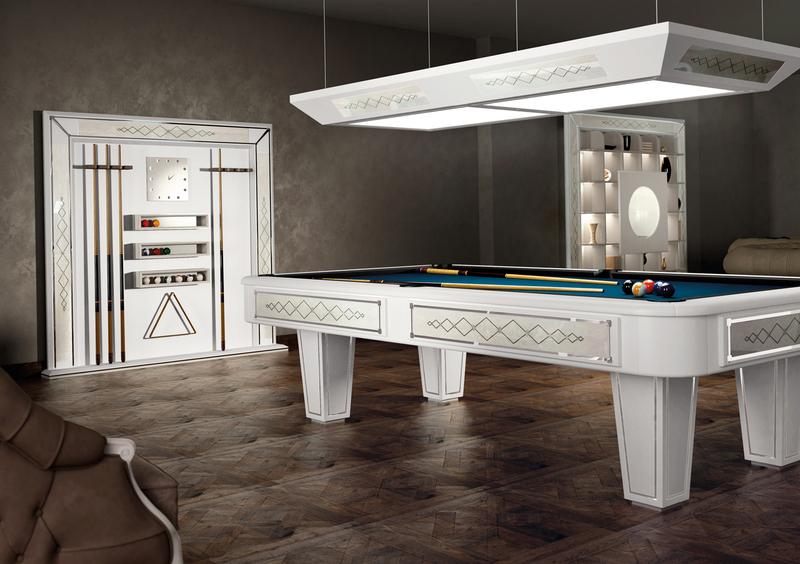 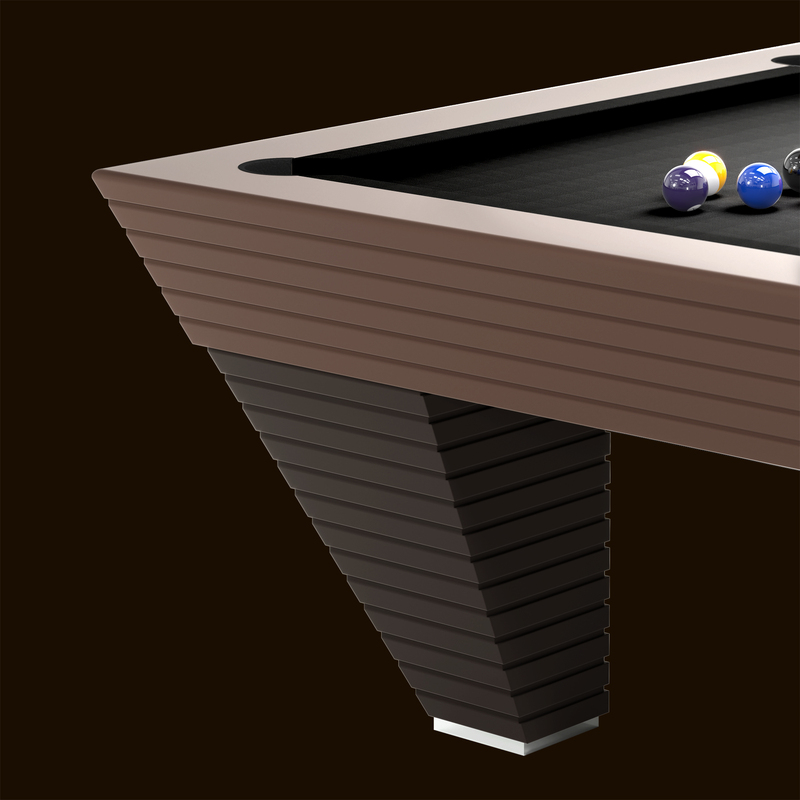 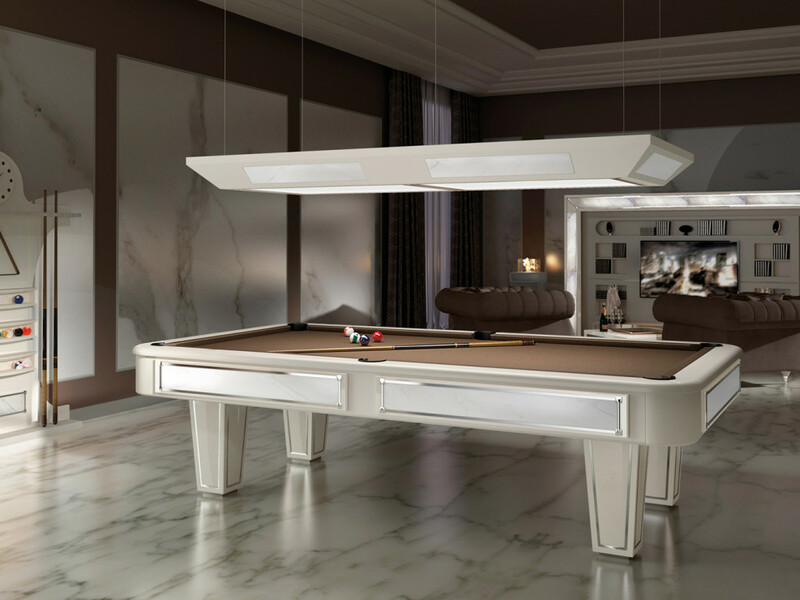 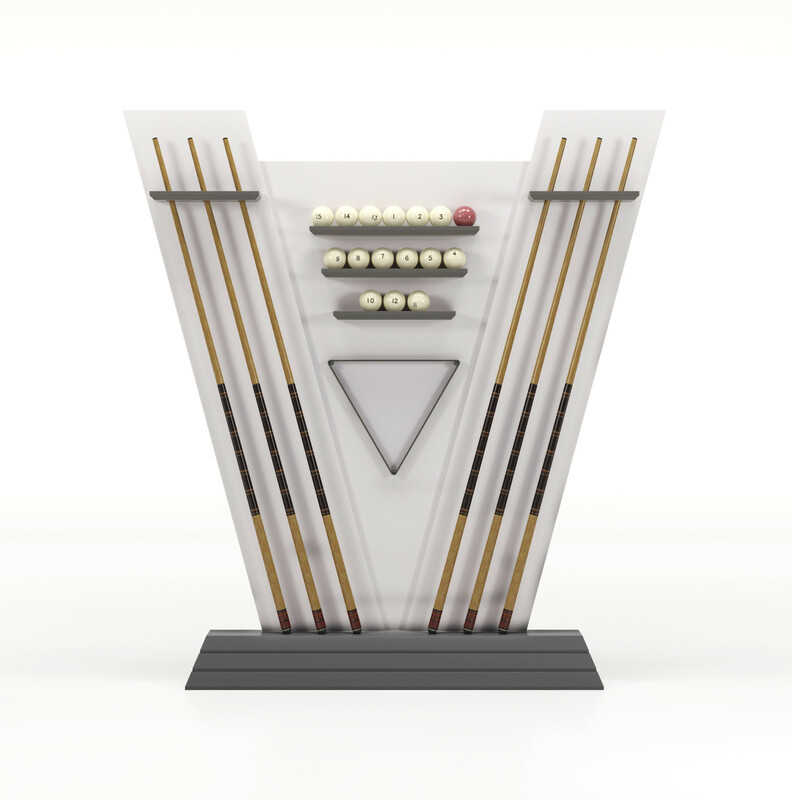 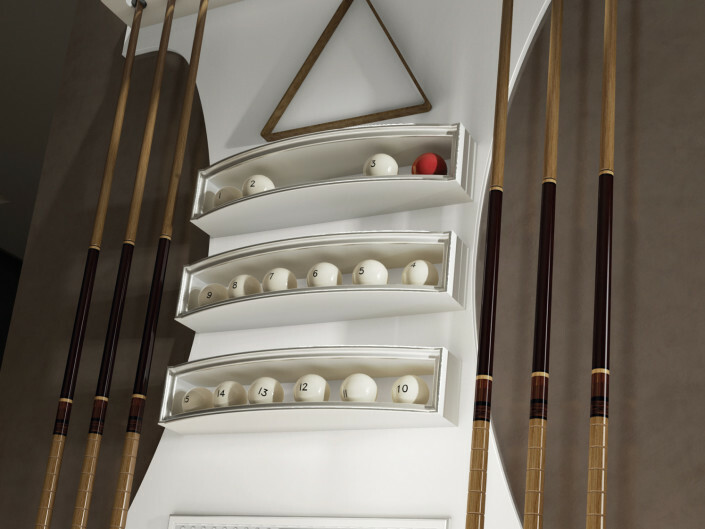 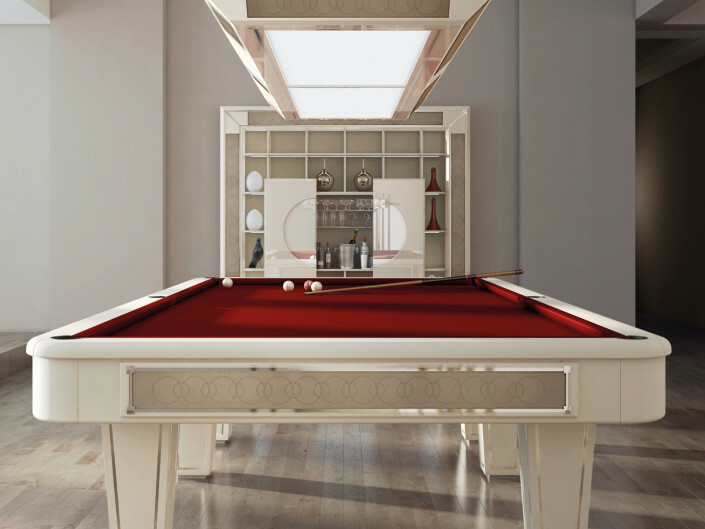 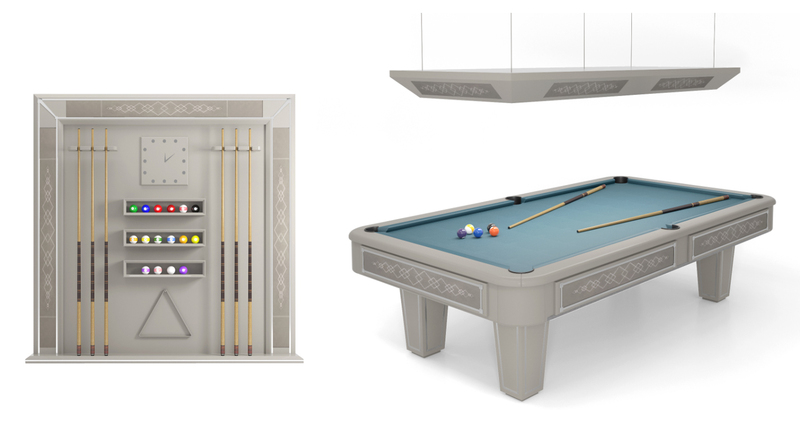 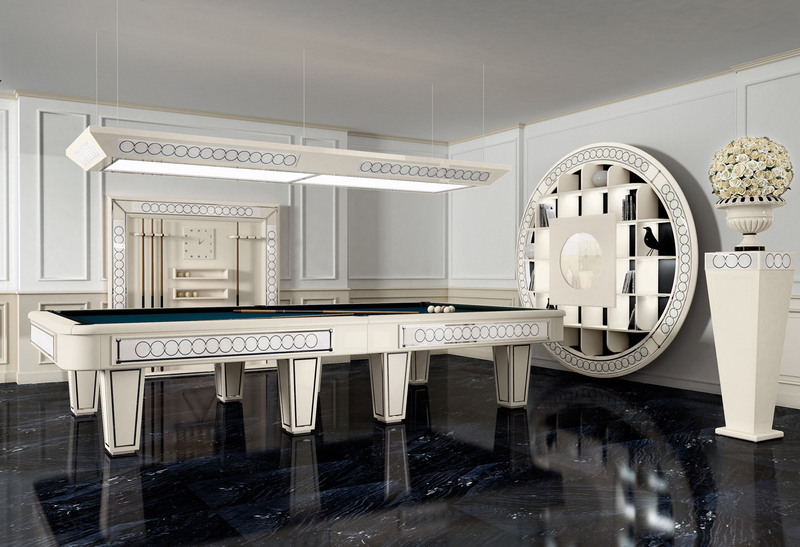 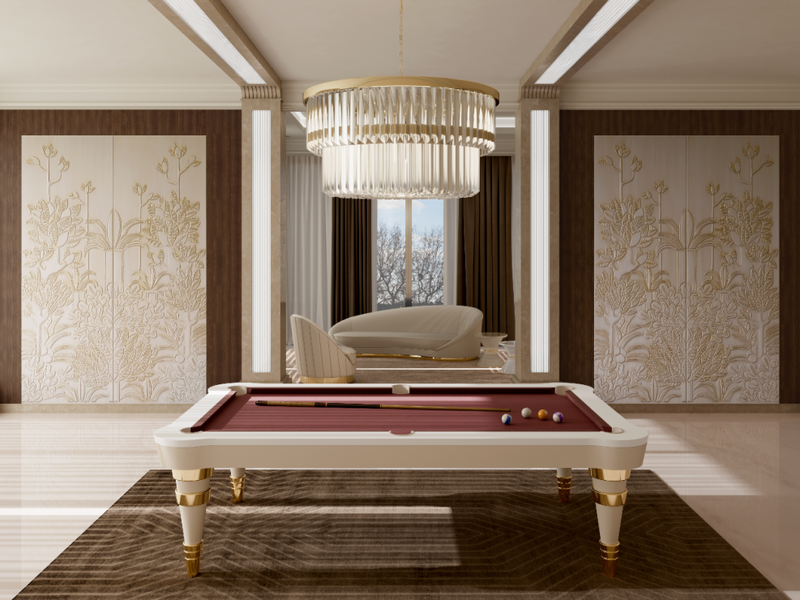 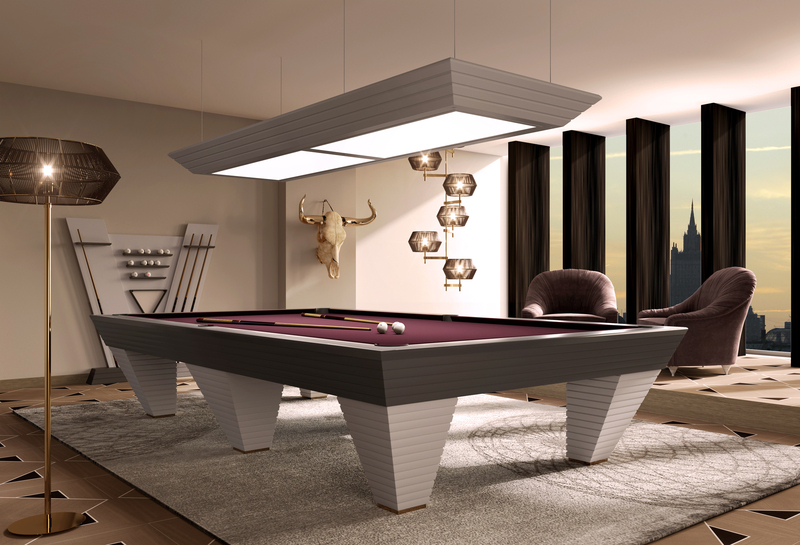 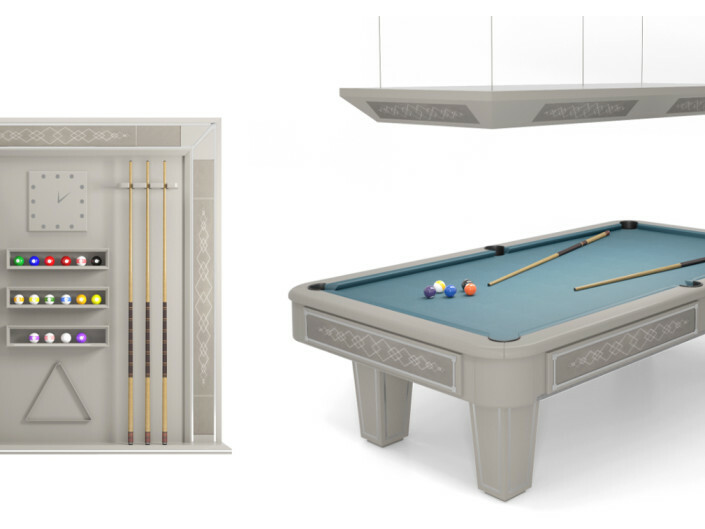 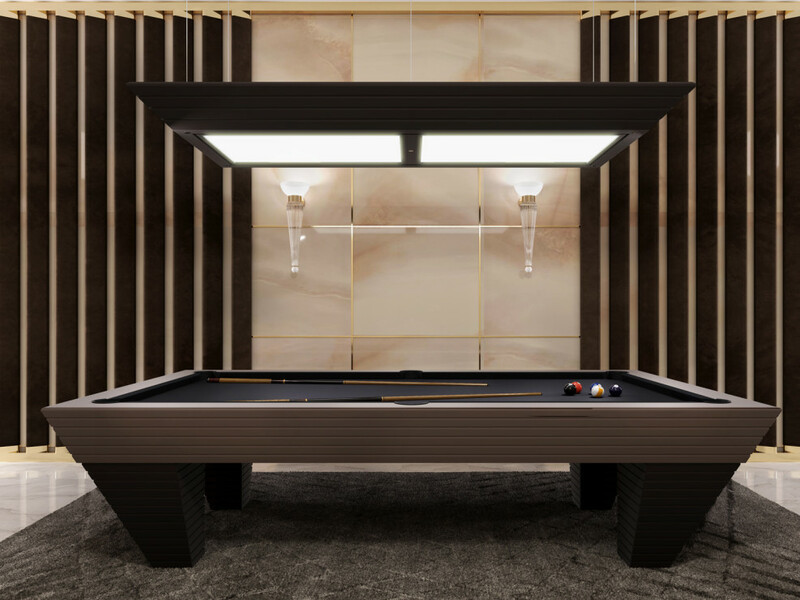 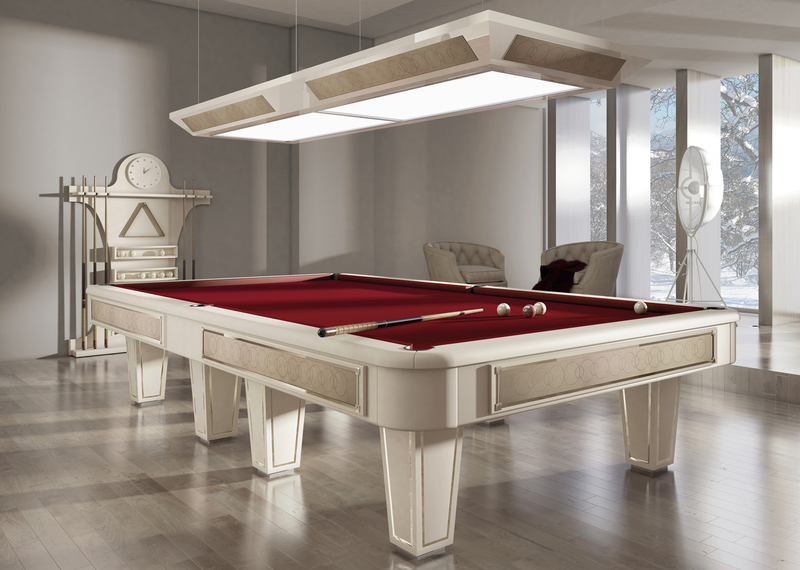 Furthermore, the client can choose between three different models of cue racks to complete the entire pool room. 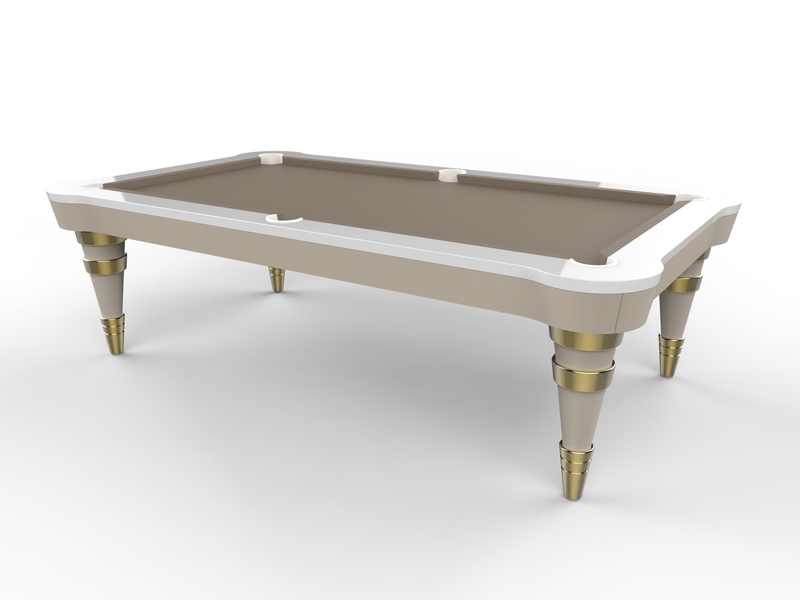 Vismara is able to create bespoke models according to customer most varied needs.